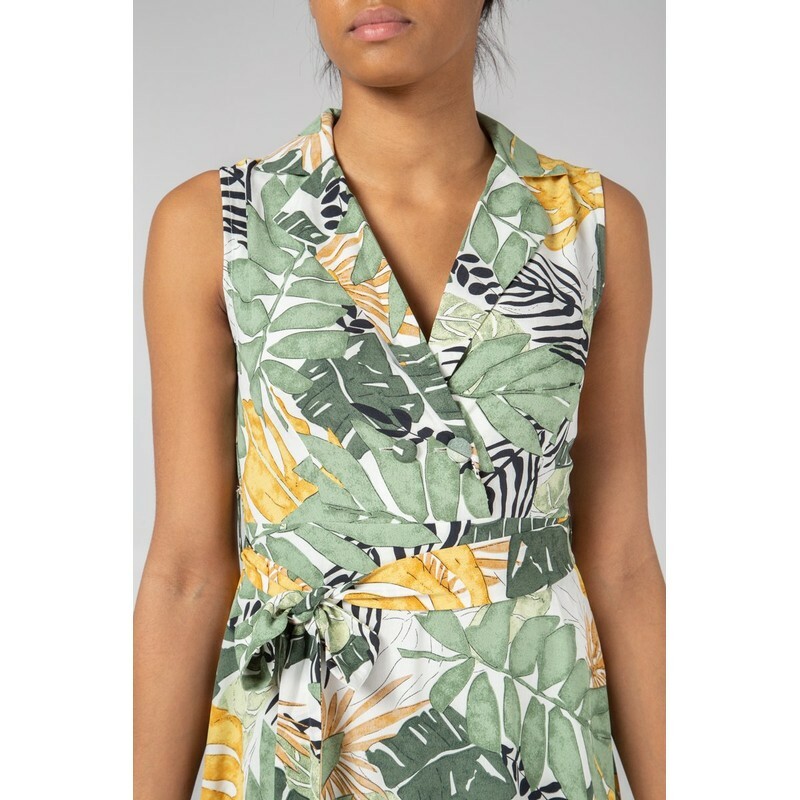 Chloe Collar Wrap Maxi comes in a beautiful print. 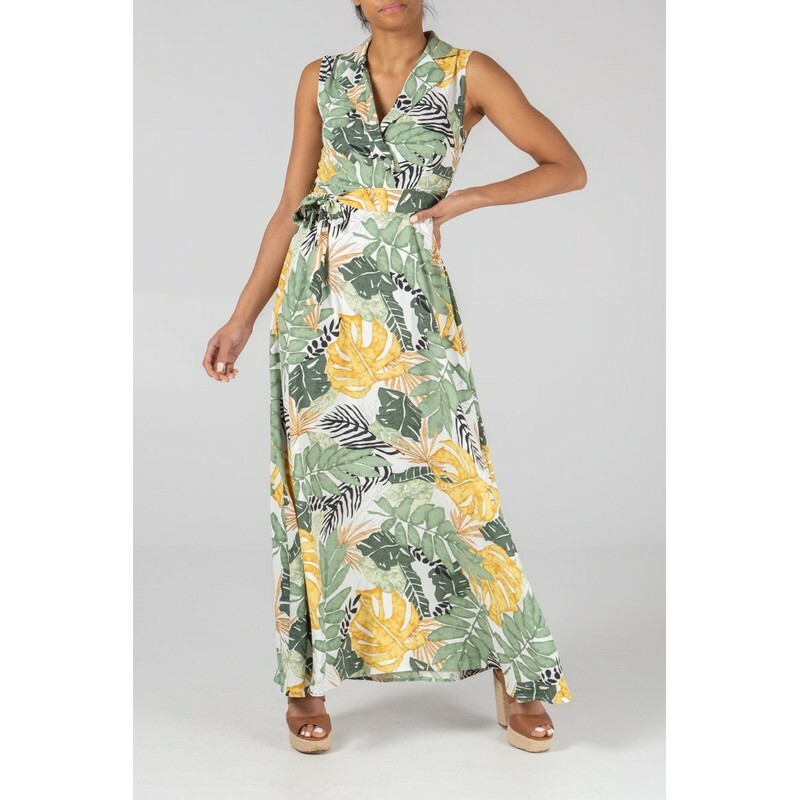 This long maxi dress is sleevles with a collar and double breasted button front. 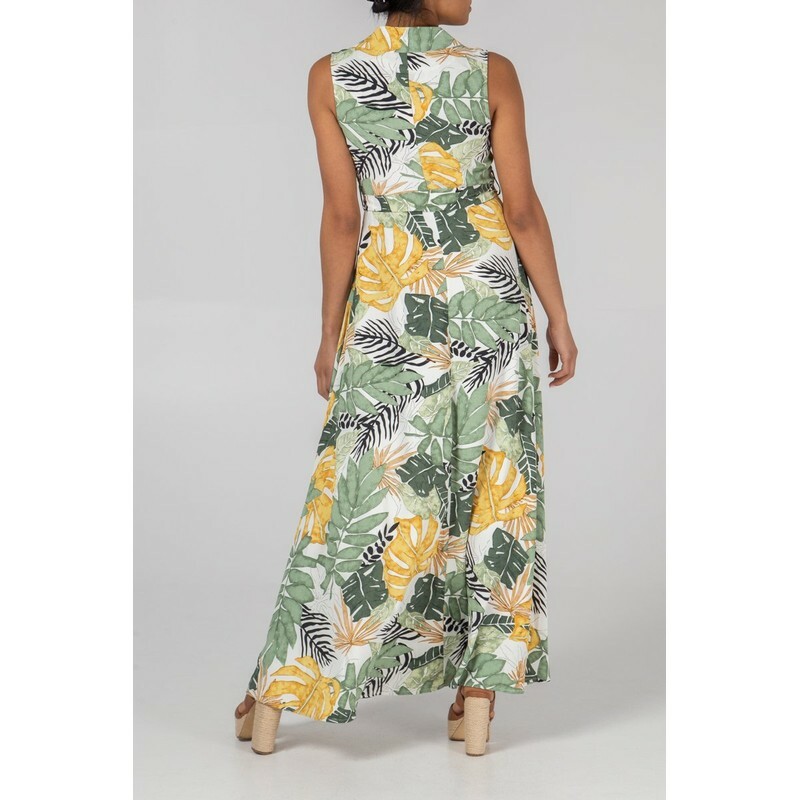 It comes with a matching waist tie and fastens with a side zip.